Bitcoin recharge is very easy and simple, but sometimes you may have some questions or may need some additional information. We put together a few common questions and answers to help you in this process. Hey, it's Bitcoin! We like to keep the fees as low as possible. We are working worldwide with the most important Mobile Network Operators together to give you the most competitive prices. Your privacy is king here. The only information needed to make a top-up on BTCrecharge.com is the recipient's mobile number. We advise you to also enter a Bitcoin address where we can reimburse your payment in case something goes wrong. That's all we need to know from you. Enjoy the annonimity with BTCrecharge! If you want, you can sign up for our (very infrequently) newsletter, in this case you may enter your E-mail address. How long it takes until the top-up is complete? The top-up arrives shortly after your Bitcoin payment. Sometimes it only needs a few seconds, sometimes 10-15 minutes. As miner prioritize Bitcoin transactions based on their fees, we advise you to use a wallet with at least normal priority miner fee. Transactions are sent then with a miner fee to get included within the next 20 blocks (on average). There is no direct recharge for my network, I need a PIN. How do I get them? Some mobile networks deliver a PIN. Just enter your mobile phone number, if necessary chose the correct carrier, select the desired package. After payment (wait for confirmation) the PIN will be shown on the same page. Don't refresh the page. I entered a wrong phone number and I paid already. What can I do? Nothing can be done... We can't refund top-ups delivered to incorrect numbers, or phone numbers in a different country. I didn't paid the listed amount in full. What can I do? Partial payments can't be accepted, that's why you have to pay the missing amount to the same BTC address during the initial 15 minutes time frame, or the order will fail. If this happens, the amount paid will be refunded to the provided BTC address. I don't have Bitcoin, can I pay with Dogecoin, Litecoin or other Altcoin? 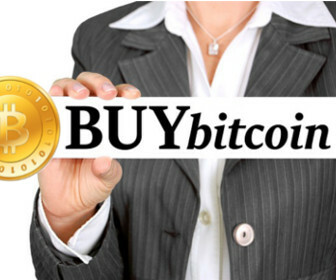 Sure, payments can be made also with the most popular Altcoins, at checkout just click the button "Pay with Altcoin". Payments will be made over our partner Shapeshift.io . The amount paid is not the same with that credited to my phone. Why? Some countries applies VAT to the top-up recharge. That means that we have to apply VAT and that amount ist substracted from the final price. How can I contact BTCrecharge.com, if I have questions regarding my top-up order? If you have questions regarding your top-up order, you may want to shot us a message over our Contact Page, or directly at . Please include as much information as you can provide, so we can track your recharge order. Where can I buy Bitcoin online? A good place for buying Bitcoin online is LocalBitcoins, or even better, you can earn $10 by registering at Coinbase using this link. Keep up on our always evolving product. Enter your e-mail and subscribe to our free newsletter. ...the fastest and safest browser available.